See Matterport 3D Virtual Tour in photos to get a feel for this unit.3 contiguous 6th floor units that have been combined to make one large 2 bedroom, 3 full bath condo, with a 45 square foot terrace offering great views of the San Sophia Range. Complete remodel in 2016. Multiple rental opportunities: 1) rent as 3 separate studios, 2) as 1 bedroom suite and separate studio, or 3) as a 2 bedroom condo with full kitchen. All Bosch appliances. $4000 sleeper sofa in unit 643 - thick mattress feels like a traditional bed. Washer/Dryer in bathroom. Offered for sale as one 1300 square foot unit; but with three separate deeds. Owner is entitled to all of the amenities that the Peaks Hotel offers: Dog friendly hotel, Largest spa in Colorado, Concierge service , 1 indoor lap pool, Indoor poowith water slide, and an outdoor pool, Hot tubs, Hair salon. All Bosch appliances. $4000 sleeper sofa in unit 643 " thick mattress feels like a traditional bed. Washer/Dryer in bathroom. Offered for sale as one 1300 square foot unit; but with three separate deeds. Owner is entitled to all of the amenities that the Peaks Hotel offers: Dog friendly hotel, Largest spa in Colorado, Concierge service , 1 indoor lap pool, Indoor pool with water slide, and an outdoor pool, Hot tubs, Hair salon. 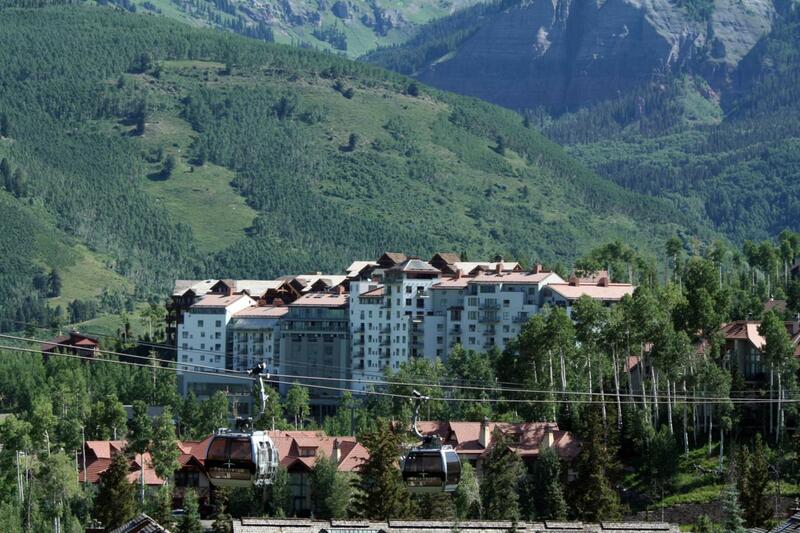 Listing provided courtesy of Mary Sama-Brown of Telluride Real Estate Corp..